Using a few of the best speeches, a handful of autotune, and a catchy melody, there’s now a musical tribute to the second season of Game Of Thrones. The song is produced by Melodysheep, who previously took some of the most prominent personalities in science and applied the same formula to make the Symphony Of Science series of videos. 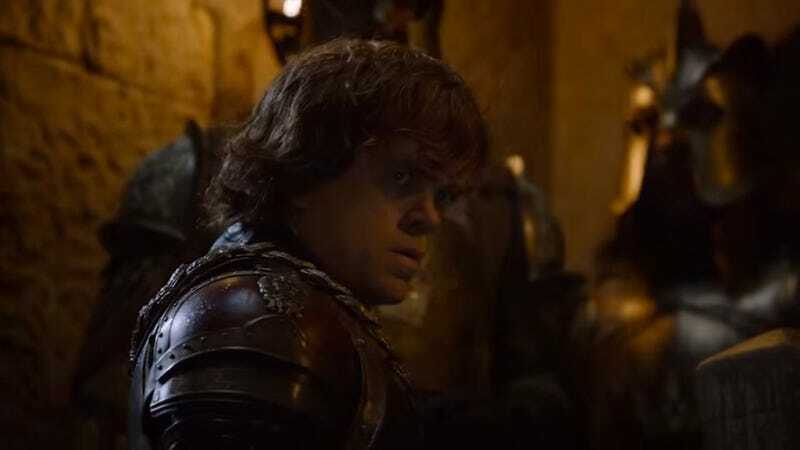 Melodysheep focuses on the morally conflicted characters of Ygritte, Theon Greyjoy, and Tyrion Lannister as they attempt to rouse their audiences (or just remind Jon Snow how very little he knows). The video’s title, “Save Our Sons,” comes from the hymn sung by the ladies of the court as they await the outcome of the Battle Of Blackwater and ends up becoming a haunting caution about the price of war. Another great way to revisit the past as the new season approaches, the song is also a good anthem for people looking to get pumped up but who might still be unaware of the outcomes of the characters. It also contains spoilers for season two of Game Of Thrones for those who might’ve read this far and not managed to figured that out yet.